There’s a subtle alternative to metal braces that can help you straighten your teeth without all that visible hardware. Maybe options like Invisalign in Costa Mesa are the reason so many adults are choosing to undergo orthodontic treatment these days. It’s easy to speak, smile, and eat with confidence when you’ve got clear removable braces. But how much does Invisalign cost? It may seem like this alternative to metal hardware would be a lot more expensive than the traditional method. And at face value, Invisalign does cost a bit more upfront — as much as $5,000 for the whole treatment. But given the significant benefits of clear braces, many adults decide it’s the best overall financial investment. While Invisalign may cost as much as $2,000 more than the conventional method of metal brackets affixed to the teeth, the total cost can end up evening out over the long run when you consider all the factors of treatment. First, there’s the number of visits to the orthodontist you have to make during treatment. Each visit adds to the total cost of your braces, and you may end up losing money or go through your paid time off time if you have appointments every few weeks. One of the many benefits of Invisalign is that it is largely a self-directed treatment, which will reduce the overall number of appointments you have to make to ensure your braces are doing their job correctly. It’s also easier to brush and floss your teeth during the Invisalign treatment, which reduces your risk for developing cavities or gum disease. Some patients get their conventional braces removed only to discover they need to visit the dentist a couple more times to have cavities filled or gum disease treated. You probably won’t ever have to tack on an additional expense for damaged hardware, either. A broken or loose wire requires emergency repair — but if something happens to an Invisalign aligner, you can usually just go ahead and move on to the next one in the series. Of course, the benefits of Invisalign go beyond the fact that they may end up costing less over the long run compared to traditional braces. Professional adults love the fact that Invisalign is, just like the name suggests, practically invisible. Its removable trays also allow patients to continue eating what they please throughout the treatment — no need to avoid hard or crunchy foods to protect metal hardware. Most people find Invisalign to be very comfortable, too. Forget about needing special wax to cover up rough metal that rubs blisters in your cheeks or tongue. After a while, you may forget about the smooth plastic aligners — the only thing you’ll feel will be slight soreness as your teeth gradually shift into the proper position. There are clear advantages to Invisalign as over 4 million people have undergone treatment with Invisalign. Because nothing else offers such an attractive solution to conventional braces! The reasons to choose orthodontic treatment as an adult are numerous — and it’s never a bad time to get started with clear braces! 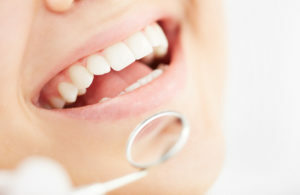 Schedule an appointment with your dentist in Costa Mesa to discuss Invisalign today.